It's normal practice for bands to bring out their greatest albums while they're still together, but Fleetwood Mac perversely managed to issue theirs after half the band had left. A collection of jams, out-takes, and previously unreleased tracks, simply titled “The Original Fleetwood Mac,” it's the last and surprisingly also the best of their Blue Horizon releases. 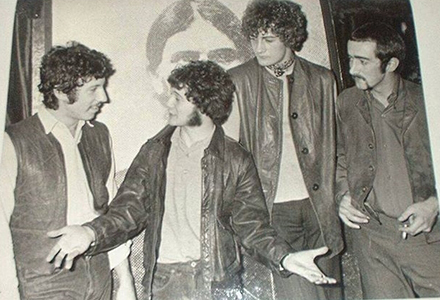 The group had already left Blue Horizon to cut 'Man Of the World' for Andrew Oldham's Immediate label, and though the single had been a great success, the label itself was failing. Mac manager Clifford Davis sought a new contract for the band, and they signed with Warner Reprise, where you can still find them today. 'Then Play On' was released as their fourth album, shortly after Blue Horizon's compilation LP 'The Pious Bird Of Good Omen' which contained singles, tracks from earlier albums, and two songs with US Bluesman Eddie Boyd. 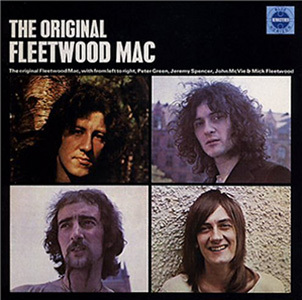 By this time, Fleetwood Mac boasted a precocious new talent, ex Boilerhouse guitarist Danny Kirwan, who'd been brought into the line-up to support and accompany Green, as the divide between Peter and Jeremy Spencer widened irreparably. “ Jeremy wouldn't learn any of my songs,” Green complained. “But I was never sure if the reason why he didn't join in more was that he wouldn't, or he couldn't. He was a music fanatic - I'm sure of that. But with us he would only move at his own speed. ” In effect Jeremy only played on one track of that album – he contributed piano to “Oh Well Part II” - but though the musical chameleon recorded five tracks of excellent and accurate parodies intended for a bonus EP, they never saw release at the time. 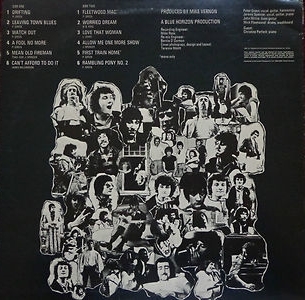 'Then Play On' featured material by Green and Kirwan in equal measure, with increasing focus on their guitar interplay and instrumental jamming, as the band's style developed towards a “Progressive Rock” sound, but the hyper-sensitive Green's mental stability was already starting to suffer. In a much later interview, he explained: "The Blues was too deep, it got too painful. The Blues is something you spend a lifetime in, and you have to understand it to play it. There's levels that most people, including me, never got anywhere close to. But then it got much too deep for me and I got lost. The blues ended up hurting my soul, so I stopped it." Trk. 1) “Drifting” (no relation to 'Drifting Blues,' the classic from Johnny Moore's Three Blazers) begins with a stark drum beat married to a very spartan riff, until almost without warning Greenie kicks into the most shattering, scorching guitar intro. His voice, as always, is steeped in sorrow and yearning. He ain't never missed a woman like he misses his baby now, and his every word is totally convincing. After only one verse of vocals, he serves up some more searing axe-work, and though you could say there's not much to this track, what Peter delivers is more than enough to satisfy. Trk. 2) Peter's “Leaving Town Blues” has a rather “retro” feel with the guitar very much downplayed. A slightly country-flavoured song with an irregular 12-bar sequence, it's a little reminiscent of "Sitting in the Rain," which Peter cut with John Mayall. It's a beautiful piece, elegant in its simplicity, and showing a very different, “down home” side of Greenie. Trk. 3) “Watch Out” is a very fast swing blues with excellent driving bass and drum work and an extended guitar work-out at the front. Cut as a trio, with no overdubs, it sounds as impromptu as a jam, and really cooks. Top notch. Trk. 4) “A Fool No More.” After a handful of false starts, we get one of the most touching slow Blueses ever, from one of Britain's best. The hurt and aching in Peter's voice is palpable and the guitar playing is passionate and beautiful, as delicate phrases sit side by side with fiery bursts. There's a later version on a solo Peter Green LP "In The Skies" which is very much slower, and which gives the impression that his vocals & guitar were recorded separately, but this one is the real deal. Untouchable. Trk. 5) “Mean Old Fireman” is an Arthur "Big Boy" Crudup cover with lyrics that echo Otis Rush's 'So Many Roads.' Here, Jeremy, backing himself with an acoustic guitar, manages to work up a great deal more feeling than he does with some of his fully-accompanied Elmore covers, and you can't help but wonder why this remained unreleased so long. There's some really lovely slide playing on this cut, and it shows us a Spencer that we haven't heard before. Trk. 6) “Can't Afford To Do It,” a 'Homesick' James Williamson cover, is more like the Jeremy we know. A straightforward rocking boogie in the 'Moneymaker' tradition is bashed out with evident relish by the 4-piece band, some of whom offer vocal responses on the chorus. Nice. Trk. 1) “Fleetwood Mac.” Yes, this is the one that gave them the name! Recorded during Peter's days as a Bluesbreaker, on studio time given to him as a birthday present by John Mayall, it's a hard-driving instrumental which shows off Greenie's terrific harp playing. His harmonica work's economical but his delivery's faultless and there's a good dash of Junior Wells' feel thrown into the mix. Trk. 2) A cover of B B King's “Worried Dream” is taken at a slower pace, and sensitive and fluid piano fills from Christine Perfect completely transform the band's sound. Without the brass that punctuates BB's arrangement, this version has a very intimate feel, complemented by the way Peter's voice is recorded, unusually dry and high in the mix, as if he's singing directly into your ear. Absolutely delicious. Oh, the guitar's pretty good, too! Trk. 3) “Love That Woman.” A Lafayette Leake composition, first recorded by Otis Rush for Cobra in 1957, features Spencer providing his own piano as well as some burning hot slide. The uncommonly heavy bass & drums make this sound a little clumpy at first, but it does grow on you, and certainly stands out from the slew of Elmore James material that Jeremy favoured on the first two albums. Trk. 4) “Allow Me One More Show” is credited to Jeremy Spencer, but so was Buster Brown's 'My Heart Beat Like A Hammer,' so you may be forgiven for taking that claim with a pinch of salt. But whatever its provenance, this solo acoustic ballad, with its irregular bar lengths and constant interruptions of bottleneck, sounds very authentic, delicate, and quite touching. An unexpected delight. Trk. 5) “First Train Home.” A beautifully phrased guitar solo intros this slow twelve-bar. Furious flurries of sweet notes drip deceptively easily from Peter's fingers, while he sings what sounds like an agoraphobic's Blues. Having 'A Fool No More' and 'Worried Dream' to compete with makes this slip into third place, but it's still first rate. Trk. 6) “Rambling Pony No. 2” is another stab at re-working the Baby Face Leroy Trio version of 'Rollin' & Tumblin'.' First recorded in 1950 on Parkway, it featured Leroy Foster (vocals/drums), Little Walter Jacobs (harmonica/vocals) and Muddy Waters (guitar/vocals). The single, issued with 'Part Two' on the B-side, was sufficiently noteworthy to be reviewed in the Chicago Defender, where Edward Myers described it as having "the sound and beat of African chant.” But Waters' part in the recording soon came to the attention of Leonard Chess, who had Muddy under an exclusive contract. As a result, Waters was persuaded to record his own version of the song for the larger Chess label, in order to attract attention away from the Parkway recording, and since then the number has always been associated with him. So by the time the Blue Horizon CD was released in 2004, John McVie was credited with the bass on this track. To confuse things further, if that's “No. 2” then “No. 1,” the version released as a B-side to their debut single, “I Believe My Time Ain't Long,” must surely have been the one recorded with Bob Brunning – and yet that version seems to have no bass at all. Other major differences are that “No.1” (sometimes even more brain-addlingly referred to as 'Rambling Pony No. 2- alternative original mix' ) gets much closer to the sound of the Baby Face Leroy Trio recording, the guitar figure is more in line with Muddy's, and Peter's harp is fairly well to the fore. On “No. 2” the pace is much faster, the guitar figure's been altered, and the harp and washboard are pretty well drowned out by a powerhouse bass and drums. Of equal concern are the lyrics, which say, “She's a married woman, only nine years old.” Are you sure, guys? Okay, I digress. Perhaps, like Neil Slaven, I've got a touch of the Tristram Shandys. Bartender, two Tristram Shandies, and make mine a large one. If called out on it, I'd have to say I prefer the version issued on a B-side in 1968, but if you haven't got that one, then this one's still good, and a nice lively end to the album. If indeed your album ends there. 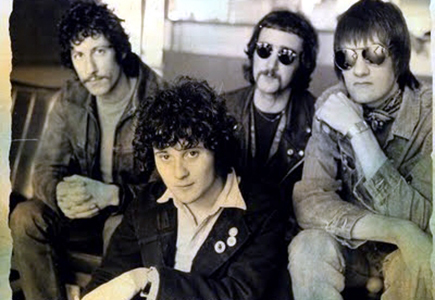 Alternatively, the 2004 CD includes an incomplete, second take of “Watch Out,” alongside six tracks by Danny Kirwan, three of them being various, almost-imperceptibly-different takes of “Something Inside Of Me,” which only expose his weakness as a Blues singer and writer, when compared to Peter Green. Anyway, he wasn't even an “original” member, so there, Q.E,D., I rest my case.